Happy birthday to…YOU! 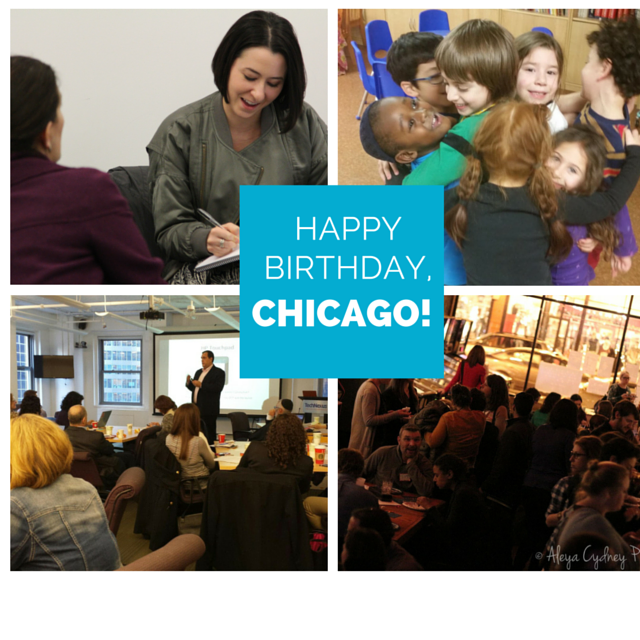 Just one year ago, we launched UpStart Chicago with high hopes. We dreamt of building a community of innovators, one that would drive creativity, big-picture thinking, and ambitious pioneering of Jewish ideas in Chicago and beyond. At our one-year anniversary, we’re excited to say that we’re building just that community, and we’re so glad that you’re a part of it. Here’s a snapshot of what we built together last year. We accelerated the success of six entrepreneurs who are redesigning the experience and expression of Jewish life. Read more about them below, and reminder: Accelerator applications close 2/29 – a week away! We worked with intrapreneurs at the JCCs of Chicagolandto generate “big ideas” to serve their communities. We built a learning community, hosting innovation workshops with leading thinkers in entrepreneurship; We’re hosting another one on 4/7. Now we’re hiring a Design Strategist to create more learning opportunities for our growing community of innovators like you. But we want to know – what has been YOUR most exciting UpStart moment in the last year? Tell us. Thank you for being a part of our community of innovators.